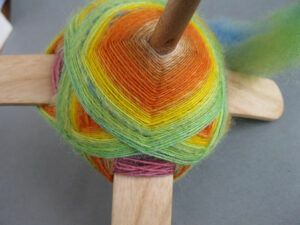 I’ve never spun on a Turkish spindle but the pictures I’ve seen of them with such beautifully wound yarn have always fascinated me, especially when the wound yarn is long repeat variegated or self striping. Which prompted me to find out exactly how they are wound in order to look so tempting. I feel a sudden need to buy a Turkish spindle and spin pretty hand painted tops. I guess that’s one more thing to add to my wishlist! 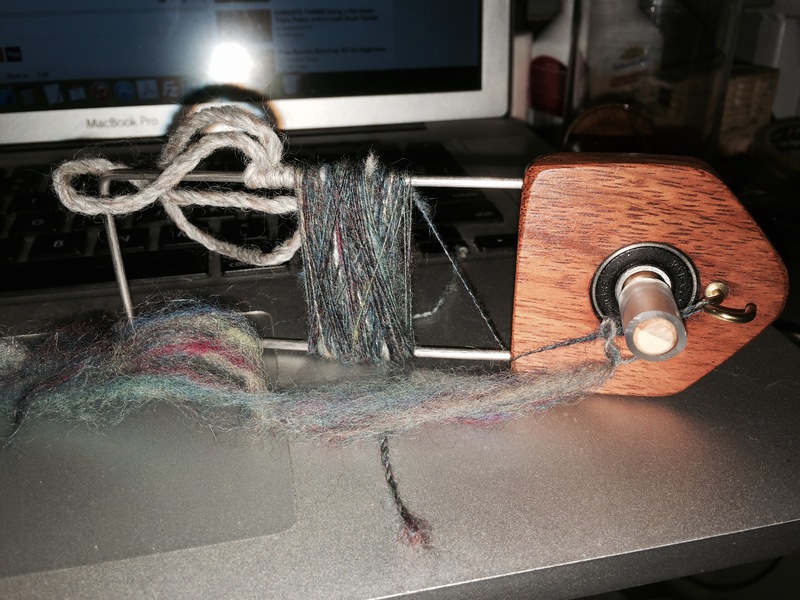 My current spinning: a scrap of merino/silk from my blending board being spun into a lace-weight 2 ply on my Majacraft Mayan Spinner. 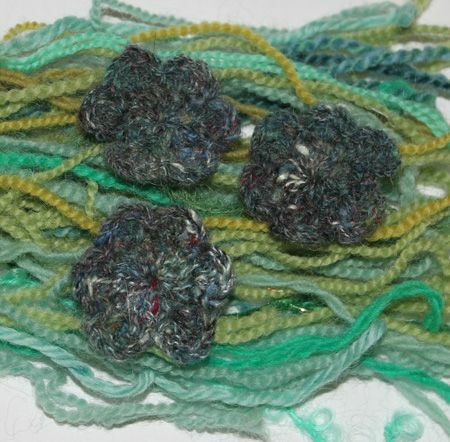 It isn’t really the proper prep for a Mayan spinner (you need well carded fibre), but since it’s just a tiny sample I thought I’d persevere with it. 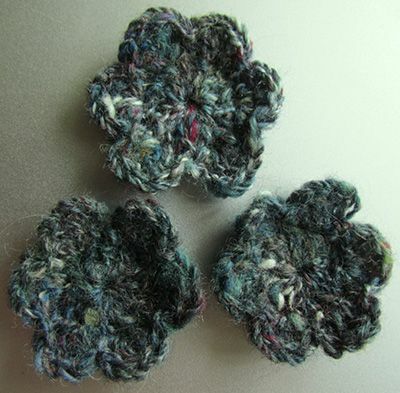 It’s a shame Majacraft stopped making these so quickly as they’d be great for spinning on a long train trip. I’f you’d like to see exactly how to spin on one of these doohickeys, check out this video by k9nething on Youtube. And now I really am going to bed. Good night!